Applying for sponsorship is possible via our site starting at the 1st of March. 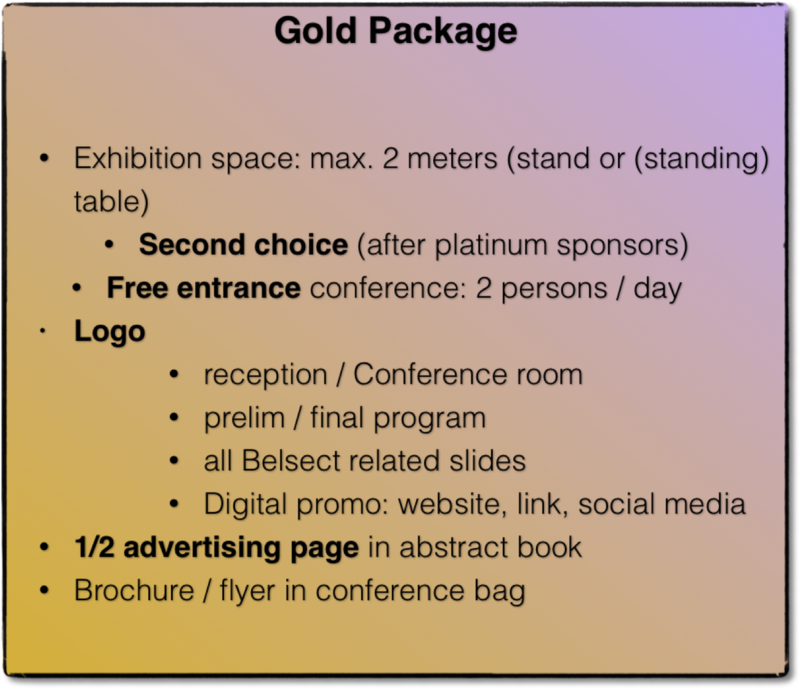 If you would like to sponsor our symposium in 2018, you can already inform us at info@belsect.be. Every sponsor who makes a commitment before the 14th of March will be mentioned during our first Educative Evening and General Assembly. 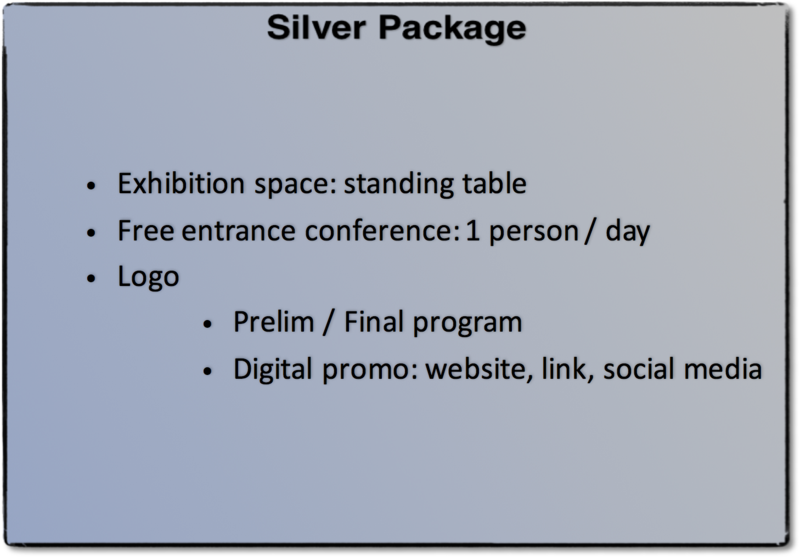 Here you will find out more about the different sponsoring possibilities that we offer during our Symposium which is attended by many international visitors. As we want to improve our professionalism on every field, we made some huge adjustments in our sponsorship deals. In stead of creating your own package deal, we have created 3 different options to choose from. We hope you find the ideal set to meet your needs. 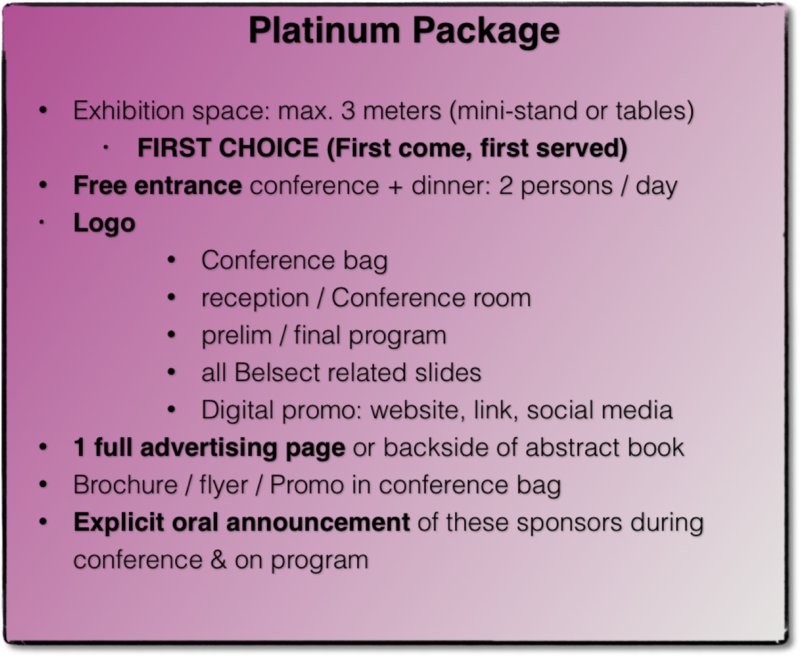 Additional options are sponsoring a break or lunch with specific announcement and promo before. During lunch breaks, you are able to rent a space to organize a lunch symposium. We have two slots for Friday and two for Saturday, so be quick if you want to give the visitors something extra! Please note that this is a first come, first serve possibility and is NOT included in the sponsor packages. Additional details: maximum 30 persons and 30 minutes. Catering will be organized by us, AV equipment will not be provided. For more information about availibilty and practical organization, please contact one of the team members of the organizing committee. Allocation of space will be done based on the chosen package and technical possibility. Below you will find the different packages and their prizes. Any additional persons you would like to admit, needs a registration, which can be done on our registration page.